If you are looking for a job with a charitable organization in Minnesota, be sure to check for open positions on the MCN nonprofit job listings website. The Minnesota Council of Nonprofits (MCN) is a membership based organization that provides a wide range of resources and services to nonprofit entities and associate member organizations throughout the state. One of the most popular features on the MCN website is the searchable job listings database. It's an excellent resource for anyone who is looking for an employment opportunity in the nonprofit sector with a Minnesota organization. The Minnesota Council of Nonprofits provides a searchable online database of job openings as a service to member organizations and to people who are seeking local employment opportunities in the nonprofit sector within the state. Whether you are looking to hire new employees or if you are searching for a job with a nonprofit organization in Minnesota, the job listings published on the MCN website are an excellent resource. It is not necessary to be a member of the Minnesota Council of Nonprofits to search the employment database on the organization's website. There is no charge for job seekers to search the site for open positions. Visit www.MCN.org/jobs if you would like to browse the posted employment opportunities. Whether you are looking for an entry level position or if you are seeking a managerial or executive director level position, there's a good chance that you'll find any openings within Minnesota on the MCN website. The job listings are very easy to navigate. You can view all of the open positions at one time by setting the search options to "all". Alternately, you can limit your search to particular job categories, job types and employer types. You can easily sort the results by job title, organization name or closing date. New jobs are added to the site regularly, so check back often when you are looking for work. Job advertisements stay on the site for 30 days, unless the position has an earlier application deadline. There is no charge for MCN member organizations that have nonprofit status to advertise job openings on the website. Nonmember organizations and companies that hold associate-level MCN memberships can also place help wanted ads on the site for a nominal fee. If you are thinking about placing an ad and work for a small non-member organization, you may want to consider joining. The cost of placing an ad will pay for a membership for small organizations, and you'll be able to place additional help wanted ads on the site without incurring additional expenses for a year. You'll also be able to take advantage of the many other benefits of membership. To place an employment ad in the MCN nonprofit job listings, visit the Post a Job Opening page on the organization's website. You'll need to accept the terms and conditions of posting before providing details about the job you are advertising via the simple online form. In addition to the searchable nonprofit employment opportunities database, there are a number of other useful resources for job seekers on the Minnesota Council of Nonprofit's website. 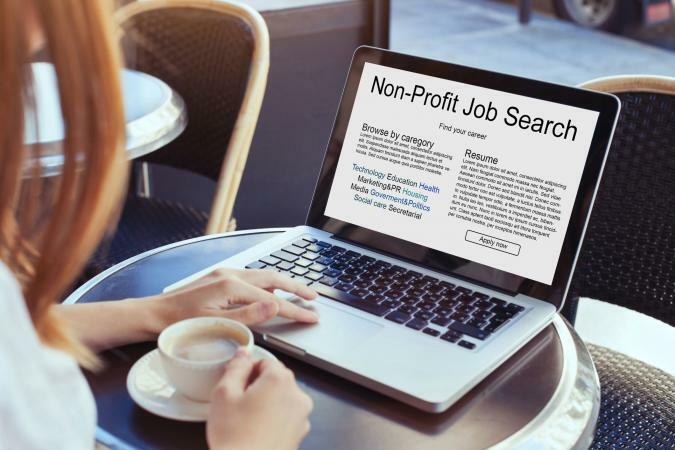 See the Job Search Resources page for helpful job search strategies for those who want to work for a nonprofit organization and links to additional employment sites of interest to job seekers.